Authors: Barthet M., Depalle P., Kronland-Martinet R., Ystad S.
This excerpt is the first musical phrase of the Allemande movement from Bach’s Suite II for Cello (BWV. 1008). The adaptation for clarinet is from U. Delécluse. 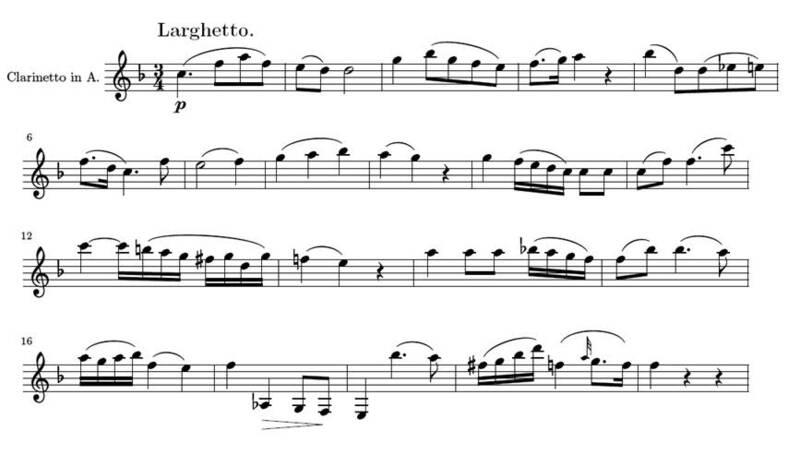 This excerpt is taken from the Larghetto movement from Mozart’s Quintet for Clarinet and Strings (KV. 581).